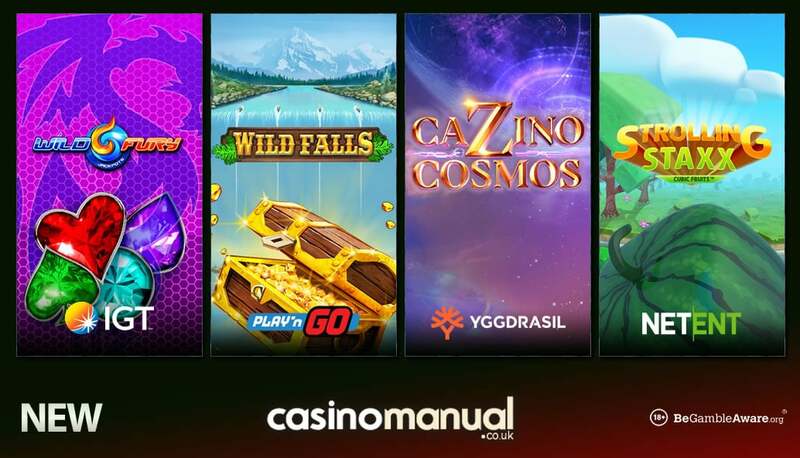 Today sees 4 new video slots from industry giants IGT, Play ‘N Go, Yggdrasil Gaming and Net Entertainment – find out what to expect from Wild Fury Jackpots, Wild Falls, Cazino Cosmos and Strolling Staxx: Cubic Fruits. 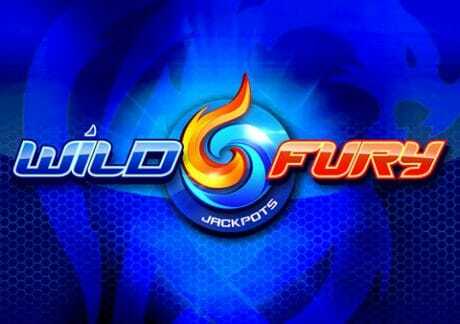 Powered by IGT, Wild Fury Jackpots comes with 5 reels and 10 paylines. Available to play on all devices from 10p a spin, it has a scorching/fiery theme and benefits from stacked wilds across all 5 reels. The main attraction is the Free Spins Bonus feature where up to 100 free spins are up for grabs. You need to collect wilds to climb up the Jackpot Ladder – there’s up to 2,000 times your bet to be won if you’re lucky as well as winnings from the free spin. 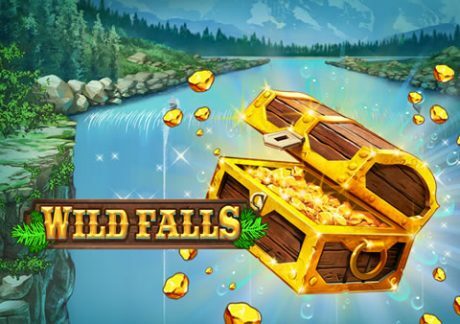 Powered by Play ‘N Go, Wild Falls is a 5 reel, 20 payline game where you head to the Yukon River in search of gold. Playable from 20p a spin on all devices, this mining themed title comes with a Rapid Respins feature where you get respins with treasure chests locking in place – if you get 3, you will enter the River of Gold Free Spins feature. Here, chests move down 1 position on each free spin – the free spins continue as long as chests are on the reels. There’s a Gold Rush feature which is randomly triggered and transforms treasure chests into golden ones – these come with multipliers up to 5x which can combine up to 125x. This applies in both the base game and River of Gold Free Spins feature. If it occurs in the latter, the Super River of Gold Free Spins feature comes into play where all chests are gold for big wins – of up to 10,000 times your stake on each spin! 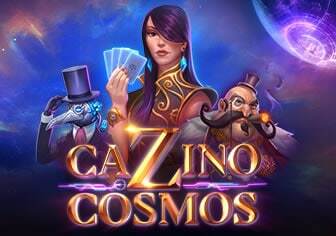 Powered by Yggdrasil Gaming, Cazino Cosmos is the sequel to Cazino Zeppelin and has 5 reels and 20 paylines. Playable on all devices from 10p a spin, you head to outer space with formidable matriarch Stella. With a steampunk feel, there’s a Free Spins feature where you will benefit from sticky wilds. You also have the Collections Free Spins feature where you get free spins with a wild feature or more free spins – you can get sticky wilds, more free spins, budges, symbol transformations to a sticky wild and double stacked wilds. This can lead to wins of 11,821 times your total bet! 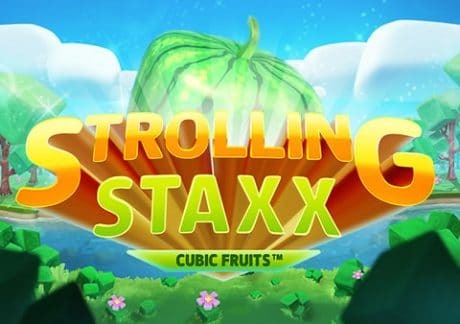 Powered by Net Entertainment, Strolling Staxx: Cubic Fruits is a 5 reel, 10 payline offering which can be played on all devices from only 10p a spin. With a fruity theme and cubed/modern feel, you’ll see stacks or Colossal wild symbols on the reels. If a symbol covers a whole reel, the Strolling Staxx Re-Spins feature is activated – the triggering symbols then shift 1 reel left on each re-spin until it disappears. There’s also a Bonus Bet & Extra Chance feature where 3×3 Colossal symbols land fully when you trigger the Strolling Staxx Re-Spins feature. All 4 new video slots can be played at Vera & John Casino – register now to get an exclusive 20 bonus spins on Thunderkick’s Zoom. Then simply deposit £10 or more to get a 100% match bonus up to £50.